This was a very nice hotel. The room contained decent kitchen facilities, a wonderful bed and a great bathroom area. We loved it. We were very pleased with the Fairfield hotel. The staff was most pleasant and the room was updated and tastefully decorated. The bed was comfortable which is important to me. They have a great breakfast and good coffee. I would highly recommend this hotel. Nice hotel. Elevator required repair, The room was nice and clean. Towels and sheets were great. Good value for the price. The front desk person, Solon, was very nice and polite! The rooms were very comfortable & large. The price was perfect! The breakfast was great as well! I definitely will be staying there again. So you're pondering a holiday to Citronelle? If you want a place to call home that's located close to Citronelle attractions, use Orbitz to pick your travel dates, and then presto! Review the list of hotels and other accommodations to find those that are close to everything you want to see and do. There are 21 accommodations to choose from within the larger area if you can't find a place you want to stay in the heart of Citronelle. Search by filters such as price, neighborhood, guest rating, or popular locations, depending on what's most important to you. We make it easy to find a convenient flight into Mobile, AL (MOB-Mobile Regional), which is 28.3 mi (45.5 km) from the heart of the city. Find your ideal flight in nothing flat by using the filters on our site to narrow down your search. 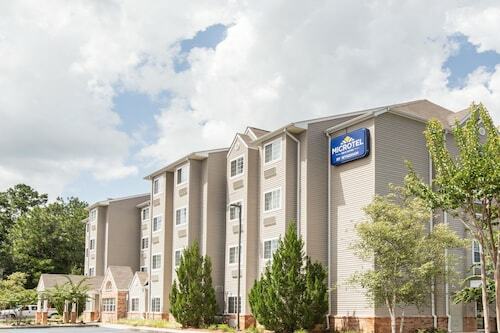 There may be just a few hotels and accommodations to choose from in Citronelle, but here some other options located nearby so you'll have some choices. What's the Weather Like in Citronelle? Loved the cleanliness, amenities, breakfast, and staff support and attitude here! would definitely come back!